My outlook is that I am very pro-choice. I think sending your child to nursery or daycare is a very personal decision and it very much depends on your family set up or circumstances whether this is right for your child. I am not going to go through the pros and cons of sending your child to nursery as I could be here all day but do believe that parents should be provided with as much information as possible in order to make an informed choice themselves. A little bit of background - my three children all attended a nursery that I paid for on a part time basis from around the age of one. They attended two different settings across 6 years between them and then went onto attend our local nursery school. I am also an Early Years Governor at our children's school and do have a little bit of experience in early years. There is also provision for older siblings/children during school holidays. You can't just walk into the nursery (which is pretty standard with all childcare settings I think) and I needed to show my passport before I was allowed into the building. It was re-assuring that as a visitor I was never left alone with any of the children and always had at least 3 members of staff with me. Gemma (soon to be deputy manager) kindly showed me around and stayed with me the whole time. As a parent, this is very reassuring. Parents use a unique finger print system to access to building and need to scan their finger to enter and exit various rooms which is all tracked by the computer and there is an office at the entrance to the building so staff can visibly see people in the foyer. Finally, I wasn't allowed to take my mobile phone anywhere with me and had to leave it securely in the office. Again, an extra step that has been taken to protect the children that I'm impressed with. Staff are trained to a very high standard and professional development is actively encouraged, in fact one member of staff was attending a course the very next day. Colleagues are all trained in Makaton which I witnessed throughout the day and have specialist training in autism, behaviour management, epilepsy, tube feeding and special educational needs. The staff all seemed very happy in their roles which is reflected in the low staff turn over. Their benefits include career progression, discounts at co-op and finishing early on their birthday. I always think it's a good sign when an employer goes the extra mile to ensure their staff are happy in their workplace. You can choose your own brand and every child has their own feeding equipment which is clearly labeled and only used by them. There is a dedicated milk room where milk is made up freshly on demand. Visiting the baby room was my favourite part of the day. First of all, the staff weren't at all phased by me being there and watching them which I think is a very good sign. 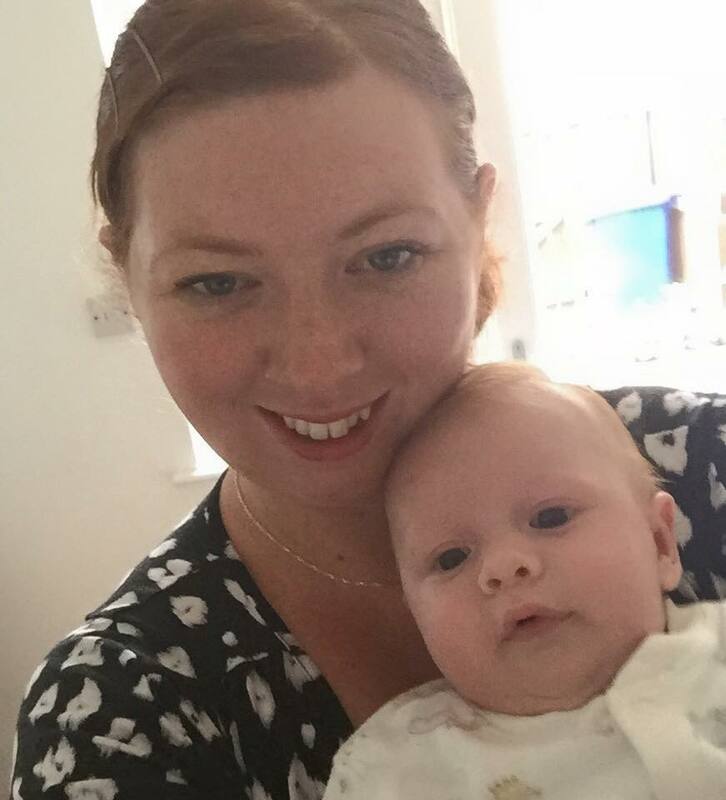 Babies all have their own key worker who will design bespoke activities for them that day (based on speaking with parents and what the baby has shown an interest in) and also encourage independent play. Sensory activities play a huge part in this room and I watched some very happy babies play in a pool of homemade gloop (which was so messy I can't ever imagine doing this at home) and then later with a bowl of ice. Photographs are taken throughout the day and development stages are recorded which is all shared with the parents. There are set times for nappy changes but babies are also changed as and when in a dedicated changing room. I have to say that during my visit I didn't experience any offensive smells from lingering nappies which is reassuring. There is a separate nap/quiet room and as a rule babies would be put down for a nap after lunch, although the staff are very happy to follow your little one's routine too. There are a range of places for little ones to sleep from cot beds to floor cushions and even individual reading chairs with their own curtains that can be drawn if your child likes their privacy. Babies are monitored every 10 minutes when they are sleeping and their temperature is recorded. My overall feeling in the baby room was that I couldn't believe how calm it was! Considering there were 8 babies in there, they all seemed very happy and content and from what I could see were given the very best of care. The toddler room definitely wasn't as calming as the baby room but I loved how much space the children had to play with both indoor and outdoor areas being maximised and plenty of space for the children to run around and have fun. Children are again encouraged independence and there is a good mix of adult-led activities and the chance for children to explore themselves. There were lots of little touches in this room such as equipment being labelled in lots of languages not just English. My overall impression of the toddler room was just how much fun it was. As is the case with most childcare settings these days the doors are left open and children have the freedom the choose to play inside or out. The outdoor area was wonderful and the children took real pride in showing me the 'bug hotel' they had created and they couldn't wait to go hunting for worms to put inside their wormery. There was also an outdoor story telling corner, slides and tunnels plus assault courses and bikes. 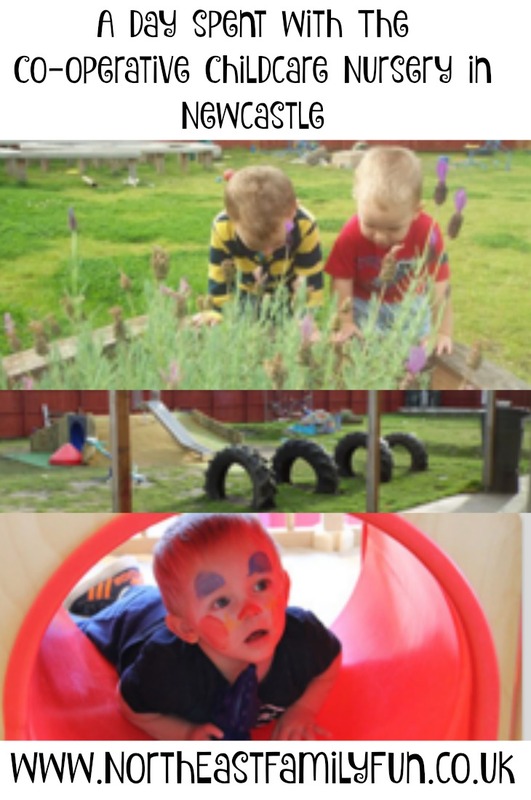 A lot of the children enjoyed playing in the sandpit too which was better than the one in our local park and they spent time watering the plants and exploring their environment around them - all good fun! The staff make the most of all weathers and they have waterproofs available if it rains so the children can enjoy puddle jumping and the staff even take the children sledging when it snows. Sensory activities are designed around what the children can see and talk about so for example on the day I visited there was a little bit of frost on the ground so the staff designed 'Frozen themed' crafts in the afternoon. All of this fun can be tiring and at age 2-5 some children may still need a nap. I loved the quiet areas where children could sit or lie down if they needed a nap too. One of the things that really stood out for me during my visit is the complete lack of TV's and technology. I have visited nursery settings before where TV's are used during quiet time and children can play on iPads ect..... It was actually a breath of fresh air to see these techniques are not used here. There wasn't a tv in sight and children are very much encouraged to play with traditional toys and explore the world around them without being stuck to a screen. Another area that really stood out for me was the dining room and meal times. Newburn nursery employs their own full time chef and the whole menu has been consulted with parents and designed by a top child nutritionist. Parents are emailed menus and can view them online or in the dining room at any point. The dining room is centred around a large open hatch so children can watch the chef prepare their meals and the children often spend time baking with the chef too. Children are encouraged independence and table manners from a very young age and given the responsibility of dishing out their own food, clearing their dirty plates away and even wiping the table when they had finished. I loved seeing this and it really made me think about how little responsibility I give my own children at home during meal times. If a 2 year old is able to wipe a table, there's no reason why my 9 year old can't do this at home. Dining was a social experience with children using Makaton with the staff and talking about the vegetables on their plate and what they had been up to that say. Staff joined the children at their tables and some even tucked in themselves. It was fab to see them leading by example. Allergies and dietary requirements are given top priority with colour co-ordinated crockery being used for those with allergies, gloves being used by staff as a precaution and separate dishes being prepared for those who needed it. The food was of a very high standard and something that I would (and did) eat myself. It was all freshly prepared by the qualified chef that day and actually puts my own cooking to shame. On the day of my visit children tucked into broccoli and cauliflower bake followed by apple crumble and yoghurt. What surprised me is that not one of the children made a fuss and most cleared their plates! The staff also recorded how much each child had eaten. Parents are very involved in their child's care at Co-operative nurseries and their views and thoughts are regularly consulted. As well as informal handovers and diaries, parents are invited to sepcial events such as breakfast clubs (where the chef cooks bacon sandwiches for them to grab and go) or fundraising fairs. Parent's in Partnership is very much encouraged and there are parent representatives who attend nursery meetings too. This all might sound wonderful but I know that cost is a huge consideration when choosing a nursery too. I was expecting a premium price and was pleasantly surprised with the cost. Remember, these prices are all inclusive so include nappies, formula, wipes, food, snacks, trips and activities. A full week is 5 days, a full day is 7:30am - 6:30pm and a session is 7:30am - 1pm or 1pm-6:30pm. There is a lot of funding to help you with childcare costs ranging from free childcare places for 2 year olds, government funding for 3-5 year olds, childcare vouchers, tax credits and student support. I am not going to try and persuade you to use Co-operative childcare and can only report back on what I experienced during my visit. I will however say that I left thinking I wish I had known about these nurseries when my children were young and based on my visit, I would be happy for my own children to attend. The staff were all so friendly and approachable and absolutely devoted to the children. One of the little one's took their first steps when I was there and everyone was absolutely overjoyed and couldn't wait to share the news - it really is as if the children were part of their family. Thank you to Gemma, the staff and all of the little one's for taking the time to share your day with me. You can find out if the Co-operative childcare is for you by arranging a visit at one of their 44 childcare settings, requesting a brochure or requesting a call back to discuss options. Loved reading this. We have been interested in a cooperative nursery near us but we couldn't afford it at the time - will definitely be something we look into over the next few months! Great review. I enjoyed reading this. My kids start nursery next year. 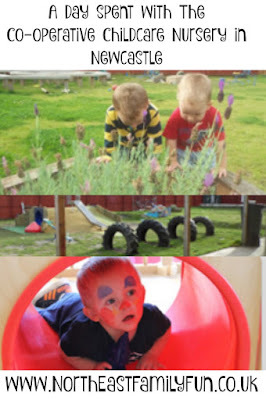 What a great review which would be really useful for anyone considering a new nursery for their child!